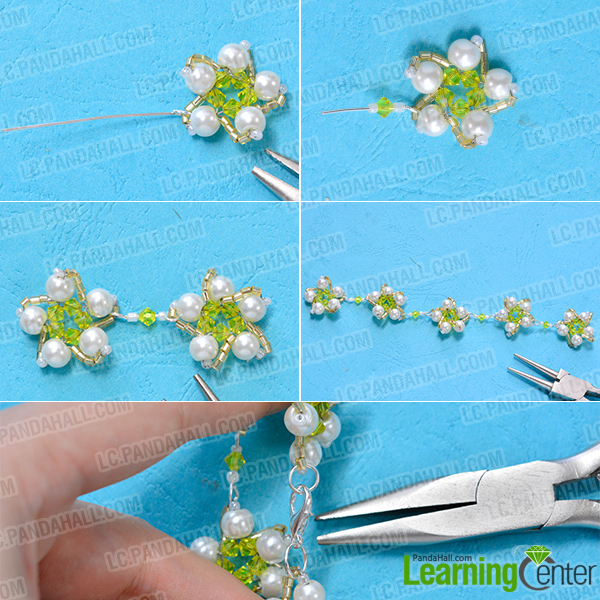 Summary: Pearl bracelets are so elegant that many girls love them so much, Some girls also want to add elements to light the pearl bracelet up, here it is, I will show you how to make a flower beaded bracelet. Do u also love the pearl bracelet? 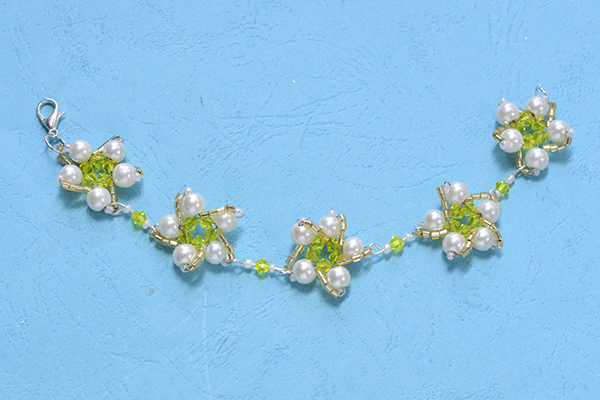 Wanna learn how to make this yellow and white pearl bead bracelet by yourself? 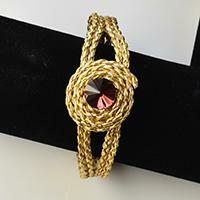 Follow this tutorial, you can also make one easily. 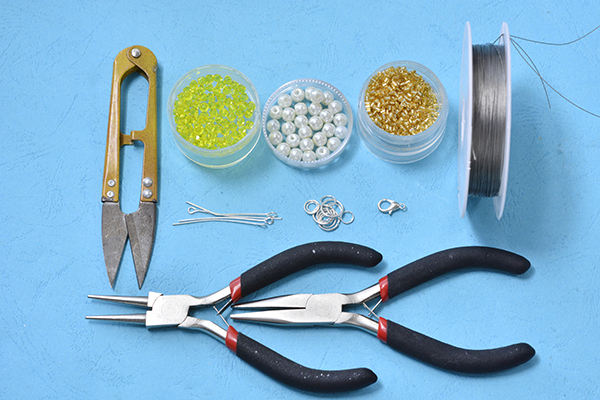 3rd, Refer to the above steps to slide beads on the 2 sides of the wire, ended crossing 2 ends of the wire through the yellow glass bead. 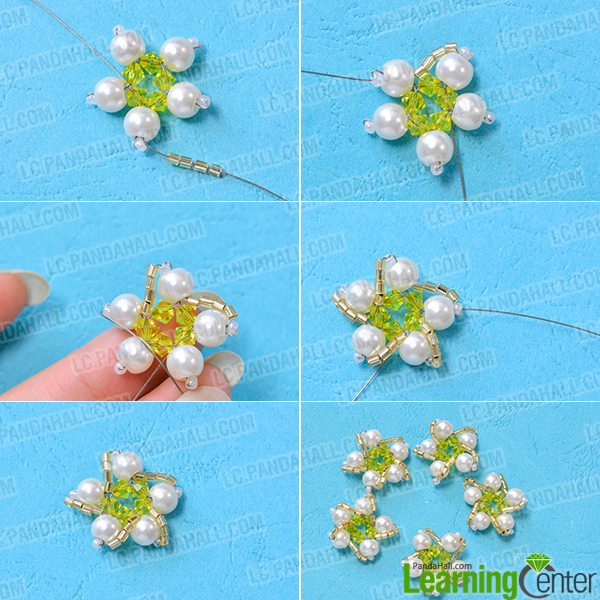 4th, Crossing all 6mm beads, the pearl beads charm is been done. 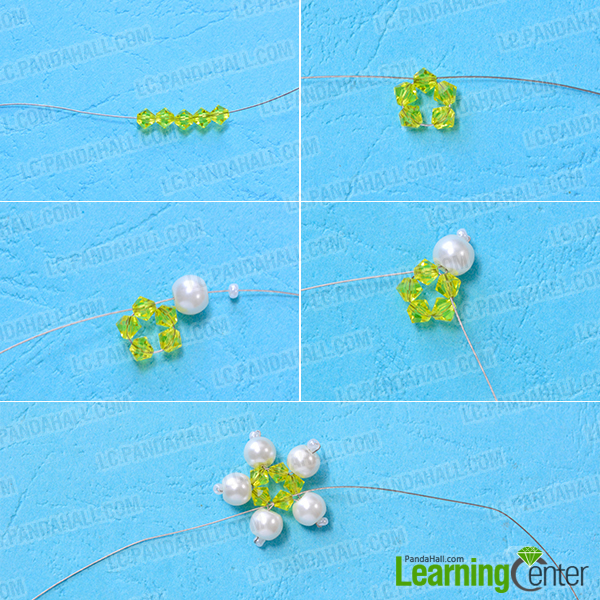 5th, Repeat the above steps to make 4 more pearl beads charms like this (as shown in the picture) . 4th, Add 2 jump rings to 2 ends of the beaded flower, while add a lobster claw clasp to one end, then the beaded flower bracelet is finished. 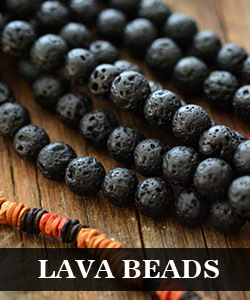 Do you like this handmade pearl bracelet? Instead of buying an expensive commercially made headpiece, you just need to follow the steps, then u can make them st home. Hope u will like and enjoy!